Hailing originally from a food-obsessed household in central New Jersey, Sue fell in love with Astoria about a thousand times (like when she saw fig trees growing in people’s front yards!) before finally moving to the neighborhood two years ago. 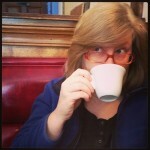 She indulges her ebullient love of food and Astoria on Twitter and, more recently, on her blog. When not talking about food, Sue can be found working full-time for a non-profit doing anti-violence work, exploring New York neighborhoods on foot, or having a beer. And now, on to the post! Astoria may not be not known for its Italian food, but it should be. From well-loved neighborhood institutions like Trattoria L’incontro (21-76 31st Street) and Piccola Venezia (42-01 28th Avenue), serving up delicious Italian specialties, to relatively new places like Vesta (21-02 30th Avenue) and Il Bambino (34-08 31st Avenue) that have won our hearts with creative, seasonal menus, a truly great Italian dinner is not hard to find in our neighborhood. However, today I want to write about my Italian Astoria, the everyday ways Italian food is a part of my daily life and routine around the neighborhood. Italian food was the comfort food of my childhood and these are the places that make me feel most at home. I hope you’ll check them out. Fresh bread from Parisi Bakery (30 17 Broadway) is the heart of my daily routine. 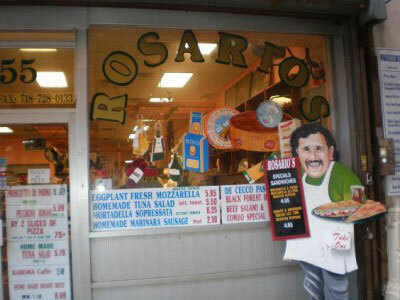 An Astoria institution for over forty years, Parisi makes their bread fresh daily using only natural ingredients. 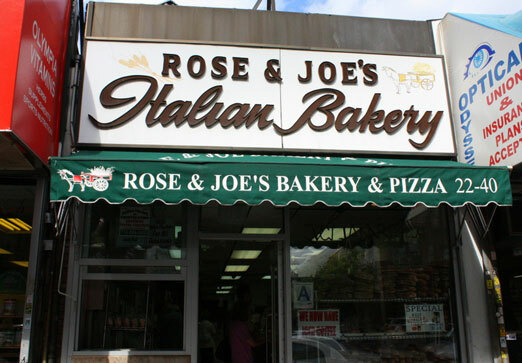 They fill their tiny corner store with an astonishing variety of breads, and personal favorites include the sun-dried tomato bread, the pumpernickel raisin round, and of course the Italian. I stop in almost every day, and in the morning, waiting for the train at the Broadway station, the smell of fresh bread eases me into the day. I feel lucky to have Parisi Bakery on my corner, but it’s not convenient to all Astorians. 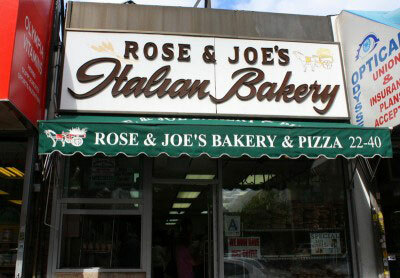 Rose and Joe’s Italian Bakery (22-40 31st Street) in the shadow of the Ditmars station and Gian Piero’s (44-17 30th Avenue) on the quieter, western end of 30th Avenue are also wonderful places to get your daily bread. Sorriso Italian Salumeria (44-16 30th Avenue) is a small market that holds a tremendous wealth of food, much of which is homemade or imported from Italy and hard to find in chain markets. I could easily peruse the tightly packed cases and shelves at Sorriso for hours in search of meats, olive oils or prepared foods to sample. However, as a cheese fanatic, what I personally can’t live without from Sorriso is their fresh ricotta and the smoked mozzarella cheese–both made in house and utterly delicious. They also sell imported Italian cheeses, like the earthy La Tur, that I haven’t been able to find elsewhere in Astoria. If Sorriso is not convenient as your go-to Italian grocery, Rosario’s Deli (22-55 31st Street) up near Ditmars is another place where it’s hard to go wrong with whatever you decide to try…especially if you are trying the rice balls (recommended to me by my pal, Astoria Haiku). It’s been said that as adults, we have a limitless appetite for the foods on which we were raised, and nowhere is this more true for me than with pasta. Turning out homemade pasta in Astoria since 1972, Cassinelli Food Products (31-12 23rd Avenue) is truly a neighborhood treasure and one of my favorite places in town. Here you can fill your fridge and freezer with fresh pasta (to be made within 24 hours of purchase) or frozen pasta (which can be stored). My personal favorite is their cheese ravioli, however Cassinelli has a wide selection of pasta to choose from. Stop by and make this unique and wonderful shop a part of your Astoria routine as well! And a few more Italian items that I can’t live without: the epic, beloved sub sandwich “The Italian,” from Sal, Kris and Charlie’s Deli (33-12 23rd Avenue) which, as they will tell you, contains “all of the Italian meats”; the perfectly textured pignoli tart from La Guli Pastry Shop (29-15 Ditmars Boulevard); and a bottle of the Venturini Baldini, Lambrusco dell’Emilia which you can pick up at Astoria Wine & Spirits (34-12 Broadway) or Absolute Wine & Spirits (34-13 30th Avenue). 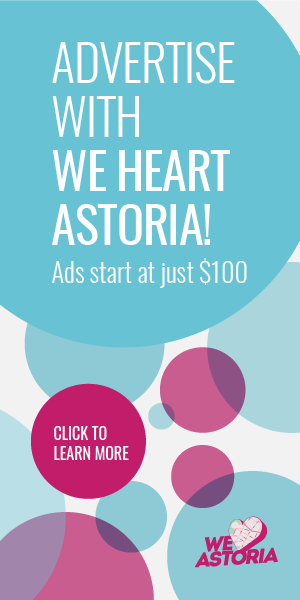 Many thanks to the crew at We Heart Astoria, enthusiastic boosters of the neighborhood we all share, and totally delightful people, for giving me the opportunity to guest blog this month. Many thanks, Sue! 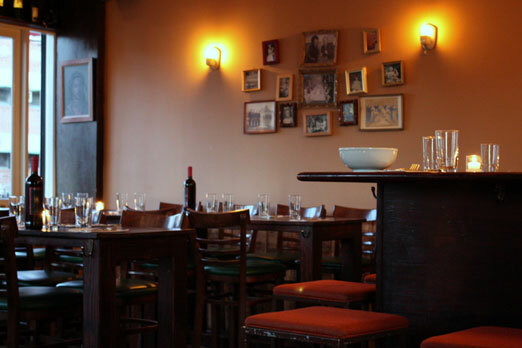 We loved hearing about all your choices for Italian eats in Astoria. Look forward to our next guest blogger in April. OMG, how did you fail to mention D&F at 3513 Broadway? Gary makes fresh mozzarella several times daily, the staff is terrific, and much of the inventory is EXACTLY the same as the inventory at the ridiculously overpriced Eataly. Casinelli pastas are available in the freezer for the same price you pay at the factory store. Wow, such loyal customers! Thanks, Maria! And thanks, Anne Marie, I also love all of these places, too. 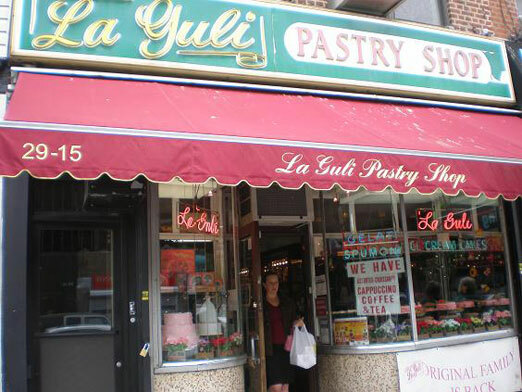 My first apartment in Astoria was near Sorriso, so I’m aware of their charms; we use La Guli for specialty cakes at Sac’s all the time; I’ve been to Trattoria L’Incontro many times; and just recently tried Cassinelli’s fresh ravioli. As this post indicates, Astoria has an abundance of riches when it comes to Italian food. Great article, Sue; good job! Excellent post. My favorite is Sac’s Place which isn’t on this list but I like the other places too. 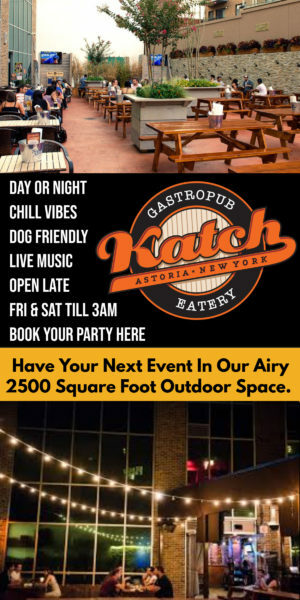 So many delicious spots in Astoria. Sue, you’ve definitely highlighted some of the best restaurants, definitely the best Italian restaurants in Astoria. We don’t go to these restaurants nearly as much as we should! You forgot one of the most well-loved neighborhood institutions – Sac’s Place! How can I trust this article with such an omission? I love my neighborhood. And reading pieces like this make me fall in love with it all over again. Well done!